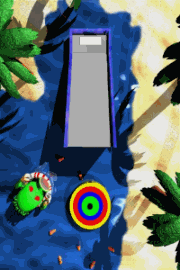 Knuddel's Minigolf is a miniature-golf-game for the whole family. Minigolf with 'Knuddel' (hero of my game Knuddel's Quest) and his friends. Beat the top worldwide players records or your own. This is no simulation game but fun!